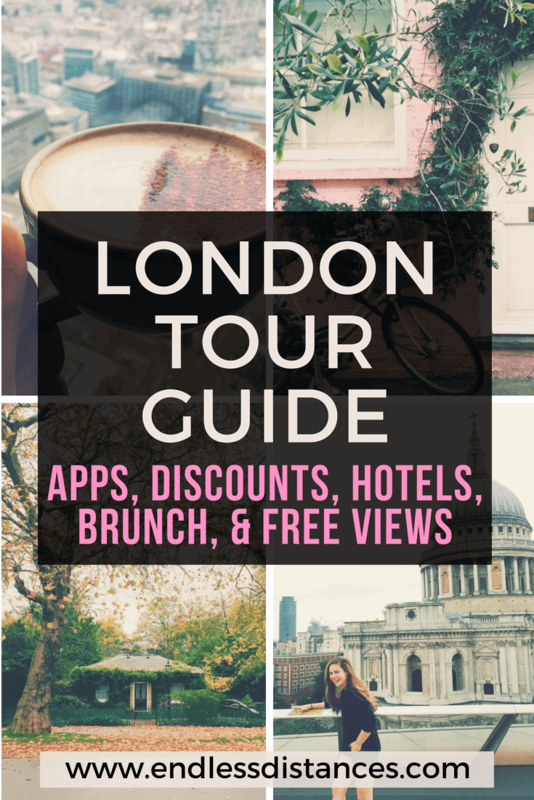 Let Me Be Your London Tour Guide: Hotels, Apps, Discounts, Things to Do! I’ve had a few USA friends travel to London lately and ask me for tips on this city I love so dearly. I have been to London countless times since the first time I moved to England five years ago. I think that is the true sign of getting to know a place… it becomes more a city you love than a city you can count your travels to. Which is why I would love to be your London tour guide too, and share all my London tips and secrets! What kind of London tour guide will this be? I won’t be so full of myself to say these are the ‘best things to do in London’ because if you know London, you know this city is too complex to ever make such a simplistic remark. Instead, these are my favorite things. Imagine me as your London tour guide, walking you through the city as friends and sharing my favorite discoveries. I won’t be the kind of London tour guide to share the biggest or most ‘important’ sights for a first time tourist. I think you can hop on any old double decker tourist bus for that kind of London tour guide. 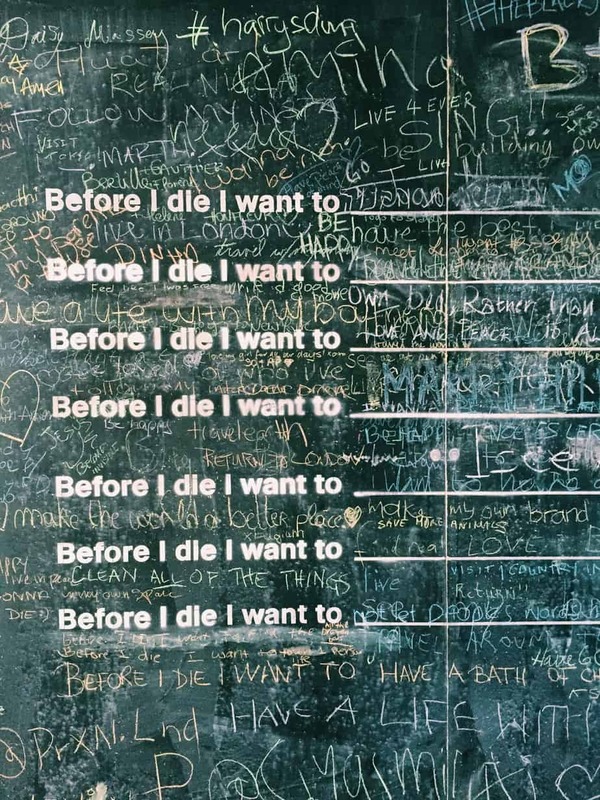 No, I’ll be sharing the things I do every time I visit, what I recommend to my good friends, and what I love most about London! my favorite mews street in London! Scroll down for more details on how to find it. Pride of Paddington ($) – A hostel above a famous pub 2 minutes from Paddington station. Ideal for early/late flights from Heathrow. The stay includes full English breakfast! Astor Hyde Park Hostel ($) – My favorite hostel in London. In a lovely and central area of the city, super clean and friendly. Starts at £16 with option for private rooms too. (Note that you have to be 18-40 yo to stay here, although it’s not a party hostel). Shakespeare Hotel ($-$$) – A budget hotel near Paddington that I love for flights into/out of London. It is set back a block from Paddington where it is a bit quieter, full of charm, and includes a full english breakfast! Citizen M ($$) – A fabulous hotel that markets itself as ‘budget’ but in reality is more luxury. Sleep in massive beds with amazing views, access newly released movies and your mini fridge for free, and more. Three locations across London including Bankside, Tower of London, and Shoreditch. I loved the Southbank Citizen M (my favorite neighbourhood). The Pilgrm ($$) – A newer hotel near Paddington, ideal for early/late flights from Heathrow. Amazing luxury and Victorian decor with an attached bar and restaurant. Plum guide ($$-$$$) – A posher version of Airbnb that still has reasonably priced houses if you search through it. I’ve stayed in a Plum Guide in the Maida Vale neighbourhood and it was incredible. It’s Airbnb without the sifting. Airbnb ($-$$$) – There are lots of Airbnb’s in London but they are very expensive and comparable to just staying in a hotel. If you book far in advance you can find a good deal. Use my code for $33 off your first booking! stay in a canal boat with the Plum Guide! My London tour guide admin tips! What else? 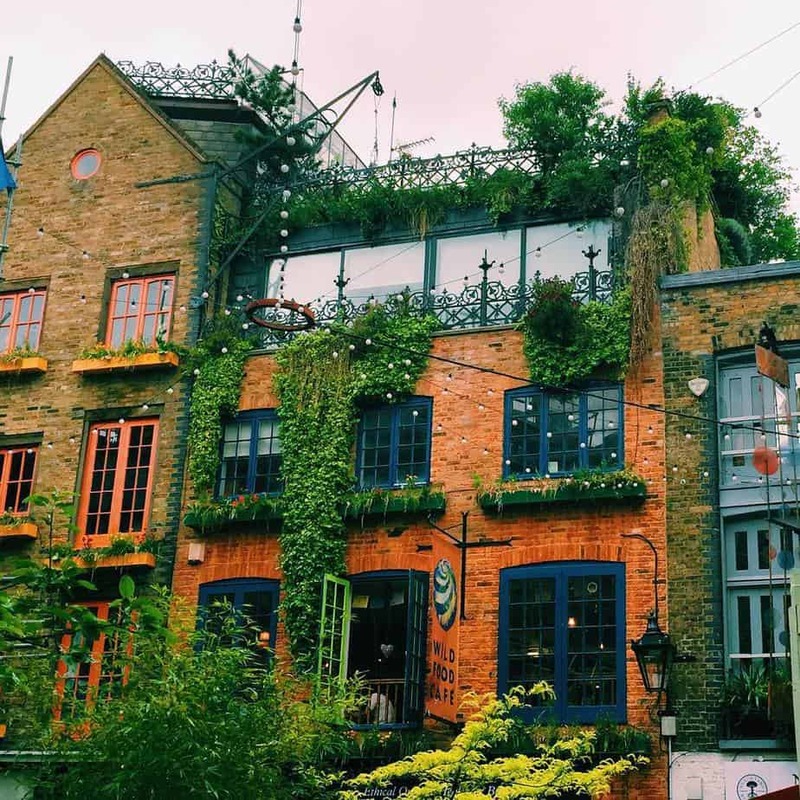 London’s a confusing place, so here are some miscellaneous tips before you go off on your adventure. Oyster card: I recommend getting an Oyster card for the tube, but walk when you can as you’ll get better oriented! Every tube station has a map of the tube before you go through the barriers, so you can use this to find your route. Also, don’t put your oyster card away once you’re on the tube because you’ll need it to swipe out when you get to your destination. Download Maps.Me: This is a GPS app that gives you access to maps without WiFi or data. It’s gotten so much better over the years and now it has all the same properties as Google Maps, without needing data! Make sure to download the London map while you have wifi, though. Download Trainline: If you are planning to travel outside of London, download the Trainline app which lets you buy train tickets and look at times. Book bus travel through National Express: National Express is quite cheap for bus travel outside of London, but not nearly as nice as the train. Purchase a railcard: If you are eligible and will be traveling by train quite a lot you should really buy a railcard. You can do this at any train station, but you will need a passport sized photo of yourself (there are booths in the train stations where you can get this done). If you plan far enough in advance you can order a railcard online. There are seven options so even if you don’t think you’re eligible, read up! All railcards give you 1/3 off fares, so the initial cost can usually be made back after just a few journeys! 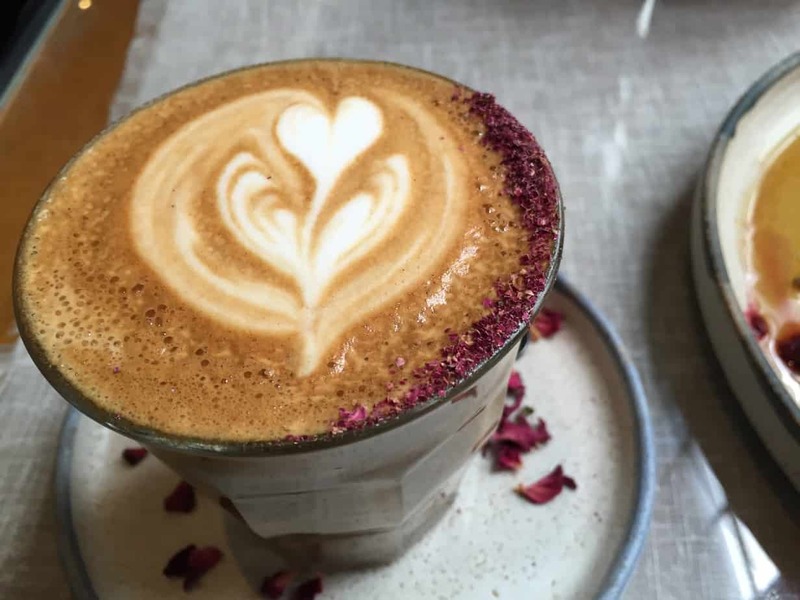 the rose latte at Farm Girl – one of my favorite brunch places in London. More of my favorite brunch places listed below! Southbank is my favorite area of London to stroll around. Walk across Tower Bridge, explore borough market and Southwark cathedral. 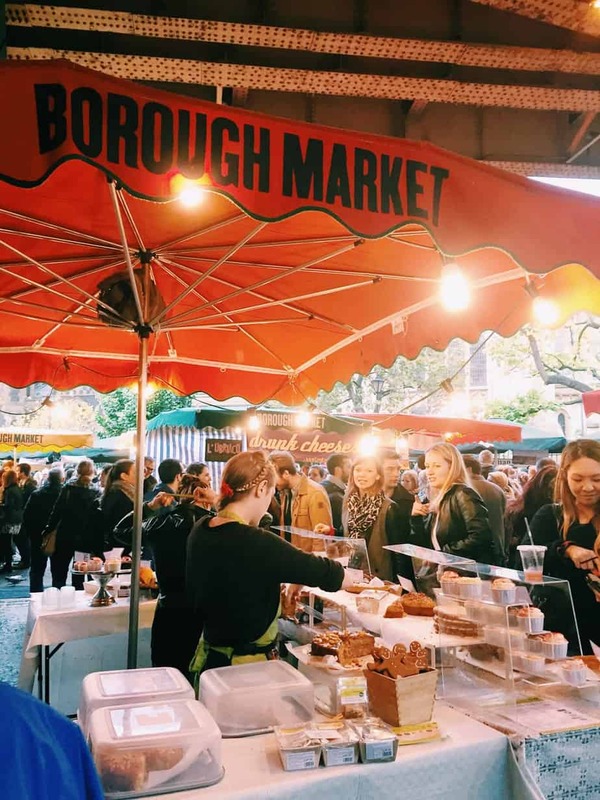 In borough market, try the nonprofit coffee cart run by formerly homeless Londoners, the 100% gluten free stall called Free From Bakehouse, the incredible (gluten free) onion bhajis, and more. Walk along the Thames until you reach the Tate, The Globe and millennium bridge. You can even keep going all the way through the riverside flea market to the London Eye. the free from bakehouse stall at my beloved Borough Market on Southbank! One New Change: Free! Take the elevator up to level 6. There’s a bar but you don’t need to buy anything, just go to their grassy area for a stunning view of St Paul’s Cathedral. Sky Garden: Free, but make reservations! Gorgeous plant-filled and window lined top floor, with panoramic London views. Duck & Waffle: Free, but it’s polite (and YUMMY) to get food or at least a coffee. Some of the best nearly 360 degree views of London, and one of my favorite restaurants to boot. The Shard: Check prices here. The tallest building in London. I’ve done this before but it’s more of a once in a lifetime thing, the views from the free places are nearly as good! Duck & Waffle: Expensive but the food is some of the best I’ve ever tasted, and the views really are the best in London. Make reservations in advance. If you can’t get a reservation there are usually cancellations, plus seats at the bar so still give it a shot! It’s also open 24 hours a day so why not go for sunrise?! Breakfast Club: Multiple locations across London, you’ll probably have to queue for a seat so go as early as you can. Super tasty dishes and the best Bloody Marys in London! There is also a secret bar… try and get the pass code online and get in for an evening drink! Farm Girl: A very instagram-friendly cafe in Notting Hill by Portobello Market, specialising in unusual coffees (rose latte, charcoal cappuccino, golden latte), and amazing brunches. I recommend the pancakes, or the gluten free donuts! You may also have to queue here. Beyond Bread: A 100% gluten free cafe in Fitzrovia that is lifeblood for any celiac in London!!! Absolutely go if you are gluten free… try the danish custard pastry and your life will be changed. They also serve sandwiches, loaves of GF bread, waffles, and more. 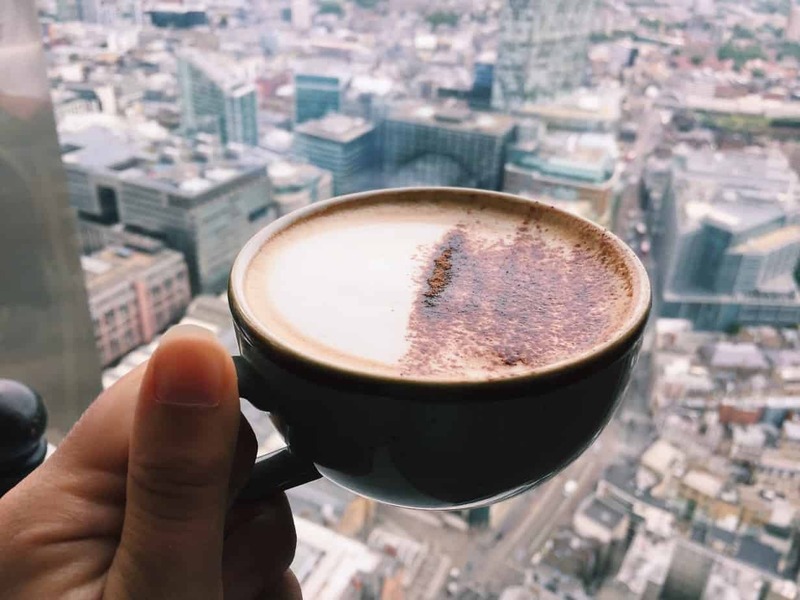 coffee and views at Duck & Waffle! Any visit to London isn’t complete without a three tiered afternoon tea. I genuinely have an afternoon tea bucket list that I’m slowly making my way through. For those of you who are not GF, check out Sketch or the Ritz. For those of you who are GF, check out my gluten free afternoon tea London bucket list! Another of my favorite areas to stroll through is Covent Garden. This is part of the theater district so you’ll find lots of theatres, restaurants, and cute boutiques here. I always try to hit the seven dials, colourful and hidden Neal’s Yard, and the Covent Garden Market. 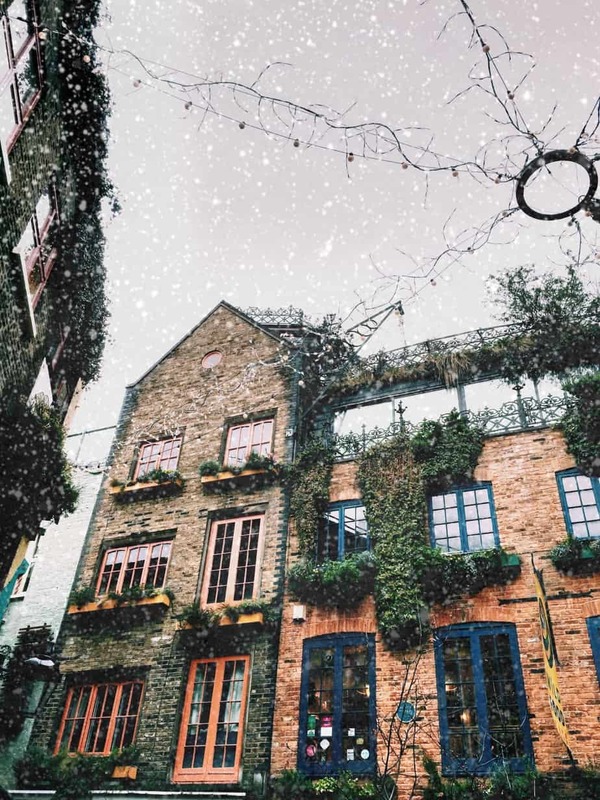 photo taken on my final day in London before my visa expired… in a snowy & magical Neal’s Yard! If your visit is during summer or autumn, you need to go to The Globe. This is an open air theater on Southbank overlooking the Thames, built in the style of Shakespeare’s original Globe. They have some of the best Shakespearean productions in the world here, and if you’re not a Shakespeare fan they have non-Shakespeare shows as well. For only £5 you can be a groundling and stand at the edge of the stage for the performance, just like the peasants used to. You can also pay a bit more for a seat in the round, but I prefer the groundling experience… it’s like no other!! Nearly every corner in central London is photogenic, but none more so than the hidden mews streets. 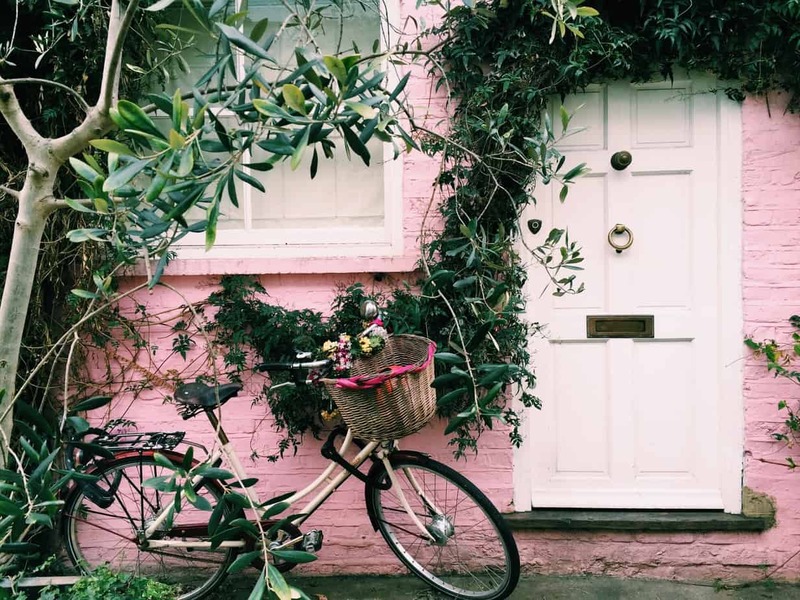 I definitely have a soft spot for London mews… I’ve written a whole blog post just about my favorite ones. Basically mews streets are small alleys or dead ends that used to be horse stables but are now reconverted into small houses. They are so cute. My personal favorite mews street is St. Lukes Mews near Notting Hill and was actually part of a scene in the movie Love Actually! 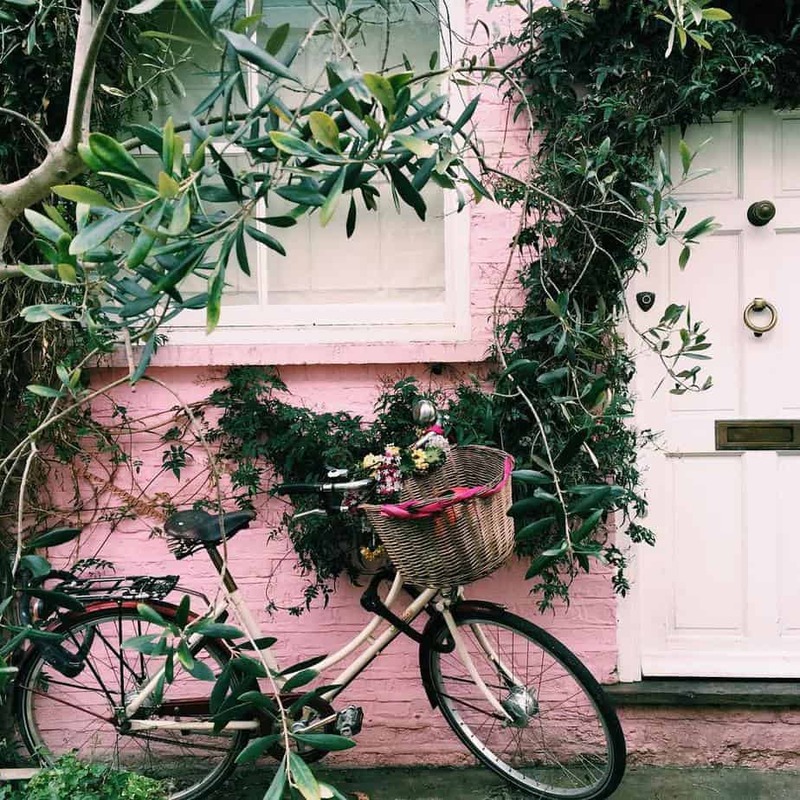 Read my guide for more information on how to find the mews of London. 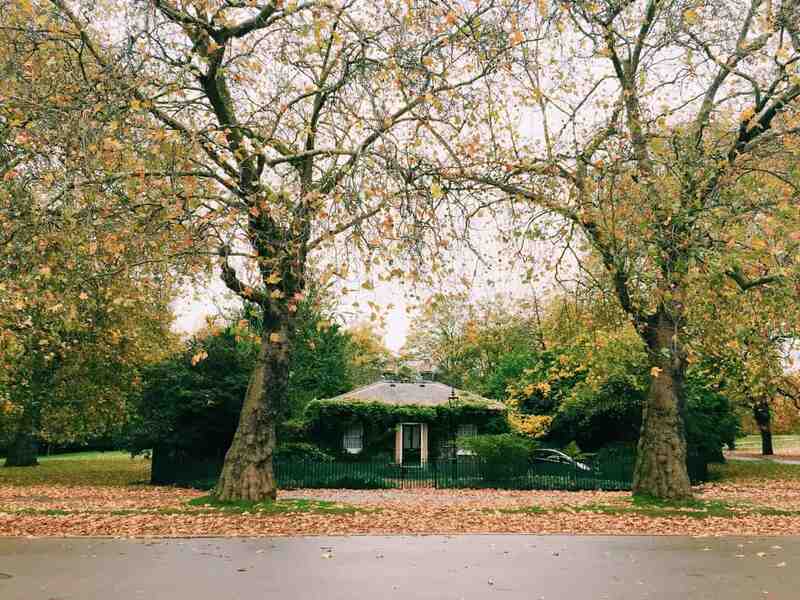 Hyde Park is one of the biggest parks in London and provides a massive green space in one of the busiest parts of the city. It is my favorite place to wander through to see the autumn colours, or to sit for a summer picnic. Even in winter the weather is so mild it makes for a beautiful stroll. From Marble Arch around the perimeter of Hyde park is about 3 miles, and if you include Kensington Gardens it’s about 4.5 miles, so it is also great for a run if you are staying nearby. Personally I just love to breathe the fresh air, walk the paths, and photograph the occasional small houses around the edge. I also love the Princess Diana memorial and the Peter Pan statue within the park. Hyde Park is also a great starting or stopping point for an Oxford Street shopping spree. can you believe these lucky people who get to live in Hyde Park?! One of my more recent discoveries in London is the Little Venice neighbourhood, not too far from Paddington. 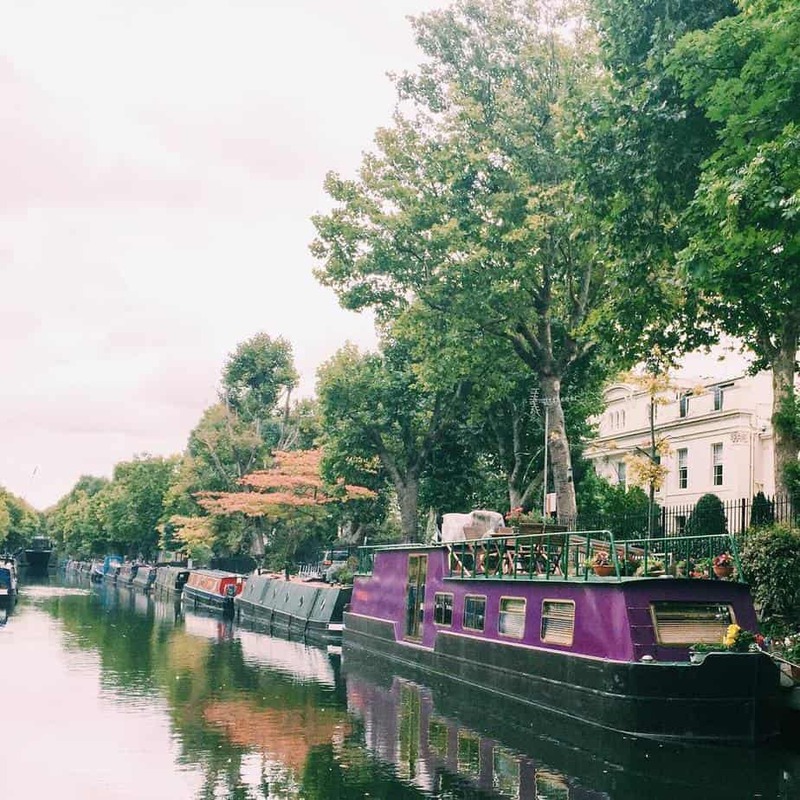 This area is more residential, quieter, and lined with canals reminiscent of ‘big Venice.’ Take a morning to explore Little Venice and its gorgeous canals and canal boats! 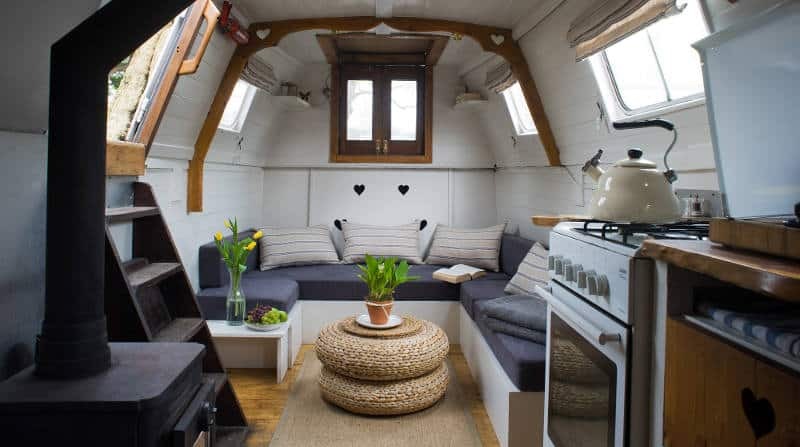 You can even stay in a canal boat with Plum Guide. One of the best concerts I’ve ever been to was at St. Martin-in-the-Fields near Trafalgar Square. The acoustics are just so special and angelic. Even if you are not a classical music fan I recommend it for the experience. In the crypt of the church there is a cafeteria style cafe with really yummy food, and sometimes they even have dinner time concerts down there. They also often have free lunchtime concerts so I really recommend a visit if you have the time! 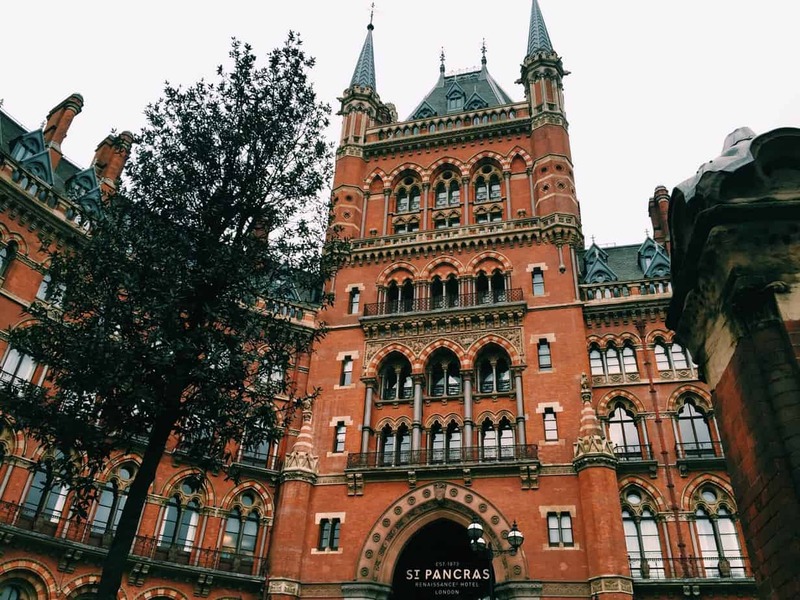 Making this list of my 10 favorite things to do in London made me realise that… I have more than 10 favorite things. Whoops! Like I mentioned, London is such a complex city it is difficult to choose. But like any good London tour guide, I’ll leave the choice up to you! Below are some of my other recommendations, either of favorite things, once-in-a-lifetime things, or classic tourist destinations. beautiful neal’s yard in the summer! Now, you may have to visit London countless times like myself to actually do all these things! Thank you for letting me be your London tour guide 🙂 Hopefully this has provided a good resource for those of you traveling to London. I have stayed in all the hotels I recommend and done all the top 10 things I recommend, plus the majority of the further things I mention. I hope you fall in love with London the way I have! *Some of these links are affiliate links. I may make a small commission if you purchase something though my link, at no extra charge to you. Thank you for supporting endless distances!